Just a little salsa left and no one wants to eat it? Try this recipe that came from the Rachel Ray website, It is so easy and everyone will want to eat it. Preparation: Heat the EVOO in a medium size skillet over medium-high heat. Sauté the onion and garlic until tender, about 2-3 minutes. Add the salsa and stock and bring to a bubble. Stir in the cheese and cilantro. 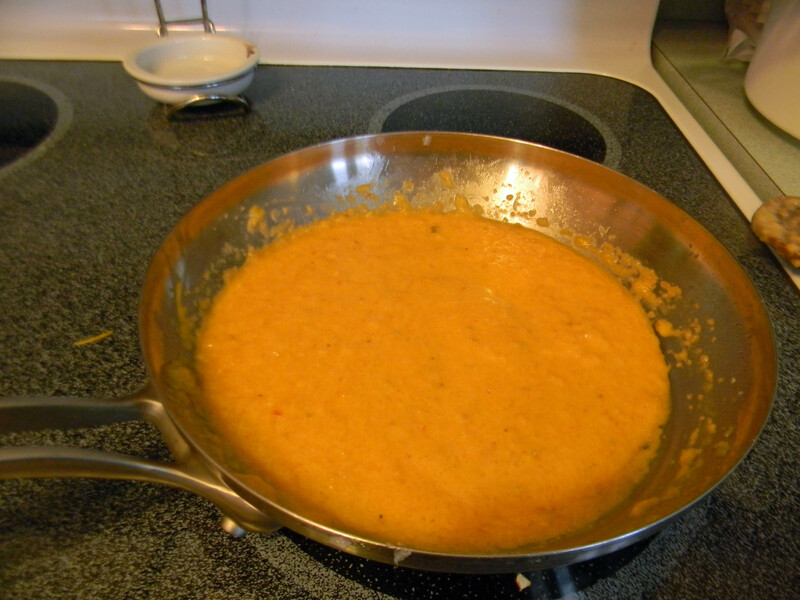 Serve with tortilla chips alongside, for dipping. 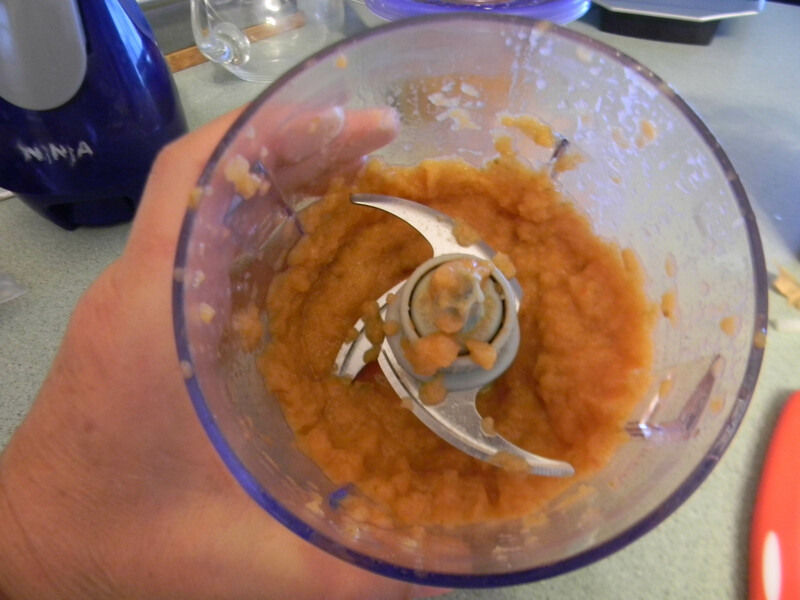 My husband didn’t like the chunky salsa we had so I put it into our Ninja. After cooking the onions I didn’t like that they were so chunky so I added the them into the Ninja also. This is what it looked like after the Ninja. I put it back into the pan added the stock and cheese and in just a few minutes it was ready to eat. 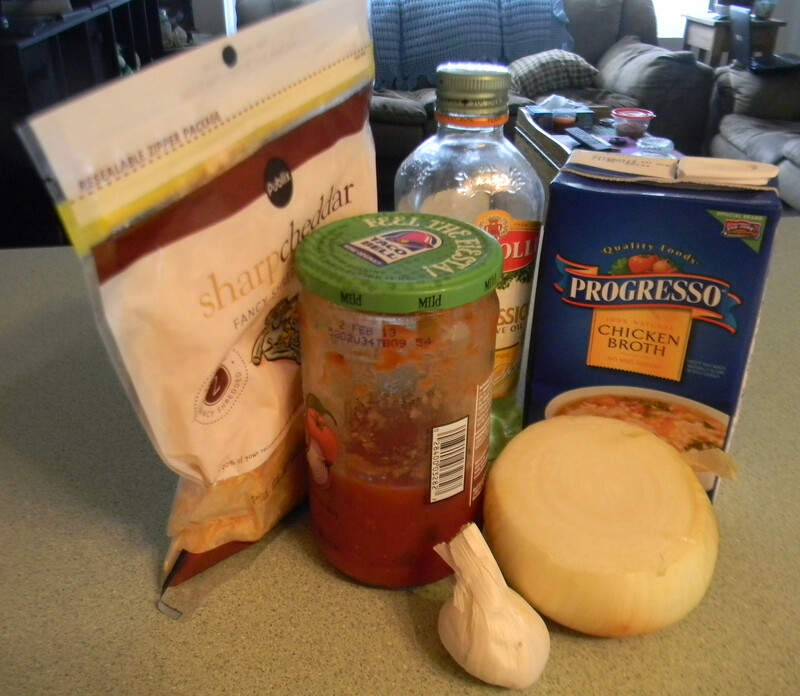 This entry was posted in Food, Food and Drink, Posts and tagged caso dip, salsa. Bookmark the permalink.